There is more to tax preparation than putting numbers on tax forms. Let our Eau Claire CPAs help reduce or defer your taxes. Are you retiring soon? Let us help you plan for social security and other retirement income so your money can last longer than you do. Have you been appointed to handle a loved one's estate? Let the CPAs at Kempen & Company help make this job a little less taxing. Many CPAs are able to adequately “crunch the numbers.” Our focus is tax planning - we can develop and implement strategies to reduce or delay your taxes. Will you be selling real estate that will trigger a significant capital gain? Have you inherited money or property that will change your tax situation? and personal representatives appointed to administer a loved one’s estate. If your loved one dies with a trust, what needs to be done to administer the trust and payout according to his or her wishes? Would you like a CPA that will coordinate planning with your investment advisor and your attorney? We have assisted pre-retirees and retirees with financial and tax questions that arise in planning for and throughout the retirement years. Is there a more tax efficient way to withdraw funds from retirement investments? Do you have questions regarding when you should start drawing your social security benefits? Rhonda graduated from UW Eau Claire with a BBA degree in Accounting. 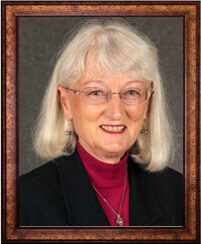 She earned her CPA license in 1991 and the Accredited Retirement Advisor (ARA) certification in 2010. She was previously employed with a financial services firm located in Eau Claire, Wisconsin for 27 years. 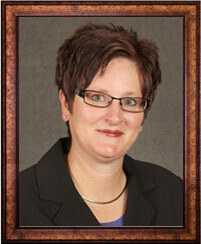 Rhonda specializes in individual income tax planning & preparation and retirement income planning. She has also assisted 100’s of individuals who have handled the financial and tax matters for a deceased loved one. Lucretia graduated from Utah State University with her Master’s Degree in Accounting and from University of Kentucky with her Doctor of Business Administration. She earned her CPA license in 1985. Lucretia was employed as a professor at UW Eau Claire, where she taught tax and financial planning for 32 years before retiring in May 2007. Believing that one should “practice what you preach”, Lucretia has worked with Eau Claire area financial service firms for 28 years, assisting both tax and financial planning clients. Simply send us a request and we'll get back to you.